The Llano Christian Academy leadership team is made up of men and women from the Texas Hill Country who are committed to making sure that each child's educational experience prepares them to best utilize their God given gifts and talents to honor Him. The Board serves as stewards of the school's resources and are charged with insuring that LCA maintains Christ-centered academic excellence. The board carries out this charge through long-range and strategic planning and policy decisions. These dedicated men and women give tirelessly of their time, talents, and personal resources. They have been and will continue to be one of Llano Christian Academy's greatest assets. Early in the planning stages of LCA, it became clear that the school would need an experienced educator who loved the Lord, and had a strong desire to see children have the opportunity to reach their full potential in a God honoring way. As the founding board was praying over who would be able to fill this vital role of leading the school in the initial stages, God was at work. Dr. Smith graduated in 1980 from East Texas Baptist University and received two Masters from Stephen F. Austin State University, 1982 and 1990. She earned an Educational Doctorate from Nova Southeastern University in 1995, and started her career as a classroom teacher in 1980. Over the years she worked as a Special Education teacher, an ESL teacher, Assistant Principal, Principal and Superintendent of Schools. In 2010, Dr. Smith moved to Llano after retiring from a 30 year career in education. Soon after her arrival to Llano, Dr. Smith became aware of the concept for a new Christian School. The school's need for an education visionary who loved the Lord and children, and had the heart and skills to help build a school from its inception, caught her attention. After much prayer by all parties, Dr. Alice Smith was offered the position as first Headmaster of the newly formed Llano Christian Academy. She willingly accepted. Dr. Smith is uniquely qualified and gifted to serve in such a vital role of the school. 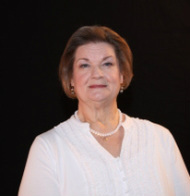 In addition to her classroom and administration experience, Dr. Smith has written staff development programs for educators, presented at state and national conferences, and has been led to develop Christian etiquette curriculum for young people. Her experience, coupled with a deep love and knowledge of God's word, has helped to accelerate the growth of LCA both academically and numerically. Dr. Limmer is a board certified Dermatologist who has recently retired after practicing for over 42 years. Dr. Limmer is recognized worldwide for his pioneering work in the area of hair restoration. Dr. Limmer and his wife, Carole, bring to the board a passion for the children in the Llano area and a vision to reach as many as possible with a God honoring education. The pioneering and compassionate spirit that marked his medical career will be helpful in LCA realizing its vision for education. A Board Member since 2012, Michael earned a Bachelors of Science from the University of Texas, along with an MBA from Texas State University. he is a partner at Boatright CPA, PC, which has offices in Round Mountain and Llano, Texas. 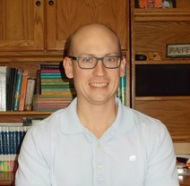 Michael's initial involvement with the school was as a contracted CPA. As he worked with the school and ﻿beca﻿me acquainted with the board, he saw that the passions of the administration ﻿and staff went beyond words and was manifested in all areas of the school. Michael's desire to see the school grow and succeed, brought him to offer his broad range of financial expertise and guidance to the board on which he now serves. Michael is married with two young children. Joanie and her husband Harold's service has been instrumental in the success of LCA. A graduate of the University of North Texas with a Master or Education, teaching of children has been Joanie's life long calling. 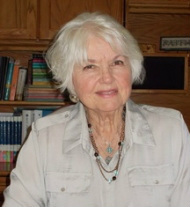 She taught grades K-8 in both Ohio and Texas. She has also served as girl's basketball and track coach. Among the highlights of her career was the honor of giving the commencement address to the graduating class that included students from her first kindergarten class. Joanie is active in her church, taught Bible studies, as well as served in the soup kitchen. She has 3 sons, 1 stepdaughter, 8 grand and 4 great-grandchildren. Lony was among the visionaries who first felt the need to provide Llano area children with the opportunity to experience academic excellence in a Christ centered education environment. He attended Louisiana State University in Baton Rouge, La., after which he entered the oil field where we worked for several years before joining Reed, Inc., an oil and gas distribution company. Having worked there 35 years, Long has become the majority stock holder and now serves as Chairman of the Board. 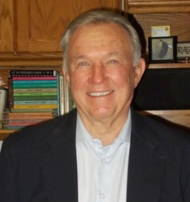 ﻿Jim received a degree in Engineering from Georgia Tech in 1958 and a Master of Theology in New Testament Greek at Dallas Theological Seminary in 1967. He has pastored for over 50 years in Iowa, Texas, Florida, and New York, and served on the board to the Dallas Theological Seminary for 19 years. Jim's passion for the teaching and preaching of God's Word has made him a sought after speaker for conferences throughout the United State and abroad, including forty teaching trips to the Holy Land. Sam served as District Attorney for Llano County for over 30 years. He received his professional education at Texas A&M. He retired as D.A. and now focuses on his private law practice, Oatman Land Titles, Inc. and ranching. ​Rusty Riley has lived in Houston and San Antonio. He earned an Economics Degree from Cornell University and MBA from University of Texas Austin. Rusty worked the next 45 years in business and financial management for a variety of organizations, including controlling a $450 million budget for a transit agency. "I have been blessed to be married to my wife, Judi, for 39 years; and we raised two good, Christian sons. I have been deeply involved with many church outreach programs, Rotary International, government reform activities, conservation and gardening organizations, and helped manage the financials of several of these non-profit organizations." I have been married to my college sweetheart for 18 years. My son attends LCA and is receiving an excellent Christian education. I am an entrepreneur, a hunting guide, and a Llano rancher.